With emojis becoming a new way to communicate, you should at least take into consideration the idea of using them in your marketing campaigns, as so many international businesses have already done. Having said this, you need to do it in the right way. Emojis are getting more and more popular, and to date there are 1,800 emojis available in Unicode, the consortium in charge of the emojis that exist. Unicode adds as many as 50 new ones to its list every year! They are concise and direct, great if you fancy saving some extra space on platforms with character limitations. They have the power of breaking language barriers. They will help you reach young audiences. They are a great way for businesses to start a conversation with their customers. You may even be able to incorporate them in your PPC campaigns in the future. To make the right use of emojis, however, you need to remember that there are different audiences out there: different contexts = different emojis. In the same way, you need to be consistent with your brand message: only choose emojis that are relevant for you. Likewise, if your audience doesn’t normally communicate through emojis, maybe they’re not the right thing for you. Don’t do it just because everyone else is! Emojis have the ability to provide insights into users’ moods and feelings, which could in turn help when it comes to your ad targeting activities. However, different countries around the world use them differently, as people’s ways of showing feelings varies considerably. For instance, the French seem to prefer the heart emoji, whilst most other countries use faces. 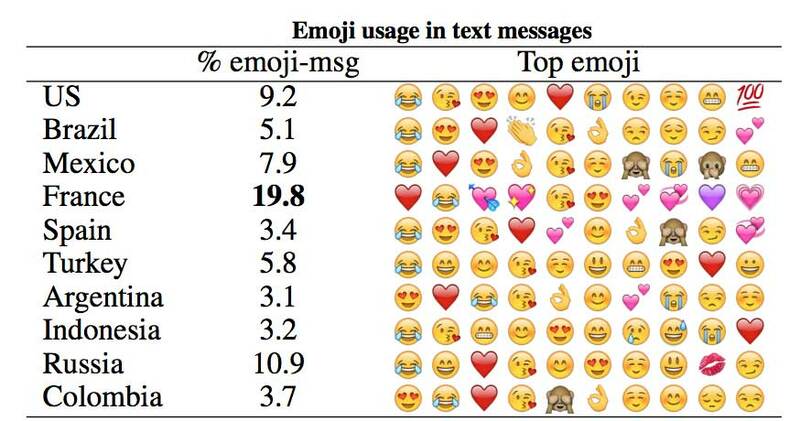 Together with the Russians and the Americans, they are also the ones who use emojis the most. Insights of this kind will help you come up with the right strategy when using emojis in your adverts. Make sure you always do in-depth research on your target audience before using emojis in your campaigns, as you don’t want them to end up having a negative effect. Good luck! Originally from Latvia, Russian-bred Nikita has lived in multiple countries across the world from Denmark to Canada, and graduated with an International Business Management degree from the Robert Gordon University in Aberdeen, UK. He joined Webcertain just over a year ago and he is currently responsible for delivering multilingual PPC projects on time and to the highest quality. Amongst other responsibilities, Nikita takes care of processing, coordinating and delivering multiple PPC orders by working closely with account managers, junior staff and linguists to make sure everything is delivered neatly and in a timely manner. Nikita is passionate about all things tech, digital and marketing.